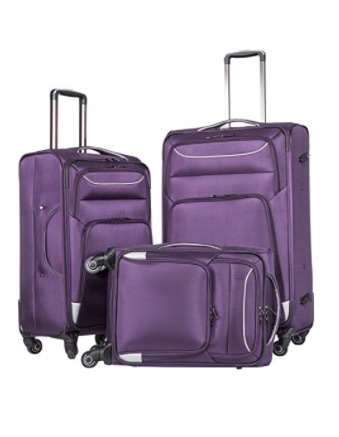 Coolife Luggage Set is made of three pieces of lightweight luggage of three sizes- 20 inches, 24 inches, and 28 inches. They are offered in five different colors of black and blue, black and red gray and green, gray and yellow, purple and silver. 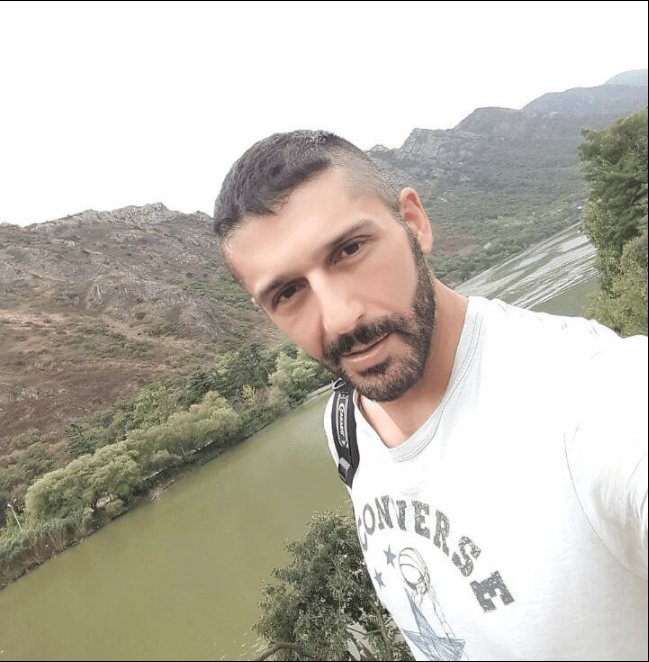 All the three pieces of luggage have the lightweight but sturdy 1680D Oxford fabric with a good amount of rigidity, which is better quality than polyester that is commonly found in other suitcases and has the 210D nylon lining. You’ll find the multi-functional organizational pockets inside and you may pack your stuff easily as the interior of each luggage is completely lined. You can easily put smaller luggage into larger ones in a vertical position for storage if you don’t have a lot of space in your house. They are easy to move with the three-level aluminum telescopic handles (robust and ergonomic) and 4 x quiet airplane multi-directional spinner wheels on each suitcase. The wheels feel strong, quiet and easy to roll. So you can maneuver in very small areas easily and effortlessly, without problems. The shipping package weighs only 30 pounds. The smallest one is the carry-on size (measures 20 x 13 x 9 inches and 33 lb. weight capacity) for the IATA standard airline cabin luggage in the US. The 24-inch suitcase has the dimensions of 24 x 16 x 11 inches (44lb. capacity) for checking in and the largest 28-inch one for consignment measures 28 x 19 x 13 inches (55 lb. weight capacity). The largest 28-inch suitcase comes with three sections and you can fit in a large laptop and charger easily, books in the second one and small items in the third one. You will notice the quality of the product as soon as you take it out of the box. They include side and top handles as well as two pockets at the front so you can get your small things without opening the whole suitcase. You will also find the handles at the bottom of the larger suitcases, which you can use for laying the suitcases flat so you can pack and unpack. 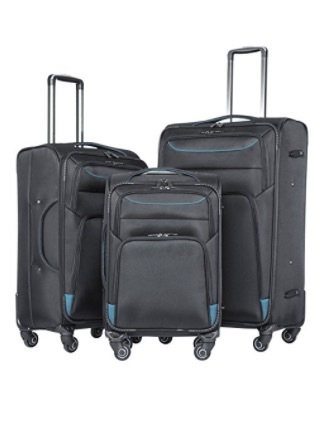 Coolife Luggage Set is reliable, sturdy, functional, comfortable, flexible, ergonomic, nice looking and low cost. Please note that this is a set of three pieces sold together and not separately. They do not expand and you will also get them shipped fitting inside each other. If you don’t want to spend too much on suitcases but want something sturdy and well-made, then you can’t really go wrong with this set. It seems to be more affordable than similar luggage sets and is offered with a two-year global warranty by the manufacturer.